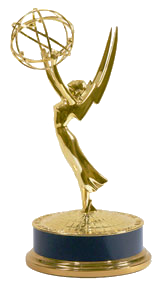 Rachael Ray's talk show won another Emmy at the Daytime Emmy Awards. The show won in the "entertainment" talk show category for the second year in a row. Rachael was also nominated for best talk show host, but she lost to the co-hosts of "The View." Whoo Hooo!!! Congrats to Rachael!! Much Deserved! !